Like an eagle soaring, the Burroughs High softball team is flying past opponents, including Tuesday’s 4-2 defeat of host Irvine (15-14) in a CIF Southern Section Division III second-round playoff game. On Thursday, the Indians (23-4) will face host Norwalk, which beat Palos Verdes 2-1 in an opening-round contest and edged Alemany 2-1 in a second-round match. For two innings, neither team scored, but that was broken when the Indians tallied three runs in the third. Okimoto, who plays shortstop, hit a double and Miraglia sacrificed her to third base. Brianna Johnson, who contributed three hits, singled to make it 1-0. 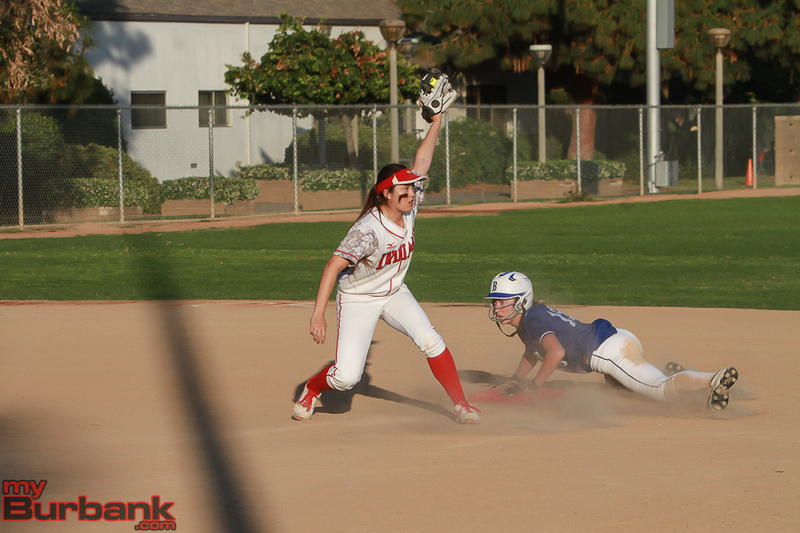 Burroughs extended its advantage to 2-0 when Isabel Frias reached on a fielder’s choice as Johnson crossed the plate, and it became 3-0 after Amanda Flores was safe on a fielder’s choice that drove in a run. The Indians, who also received two hits from Hannah Talavera, tacked on a solo run in the seventh inning when Okimoto, who had three hits, barely missed a home run and settled for a triple and later scored on a wild pitch. 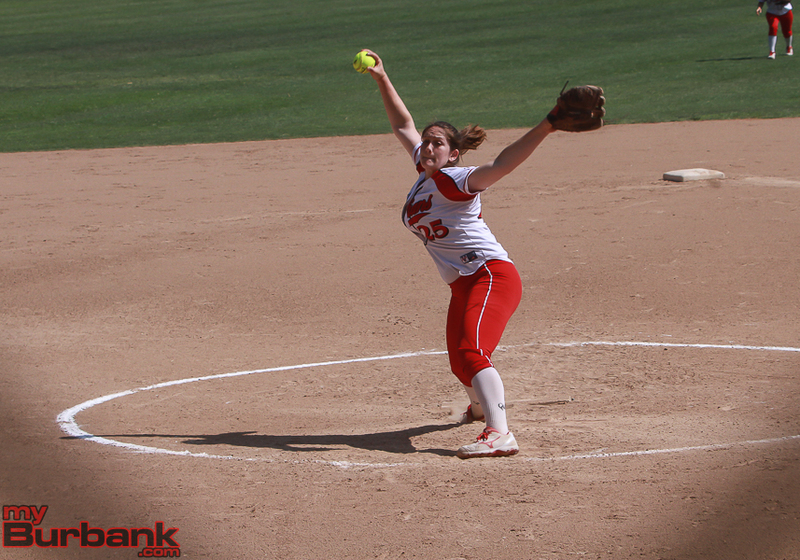 Miraglia was on the money and put together another impressive outing as she went seven innings while allowing seven hits with eight strikeouts and one walk. This entry was posted in Softball, Sports and tagged Burroughs, CIF Playoffs, Softball on May 25, 2016 by Rick Assad.